Global history is being renewed over the past years through concrete case studies. Formerly the pioneers of the field such as Braudel, Wallerstein, Gunder Frank and the California School scholars, among others, had undertaken ambitious research projects with the aim to compare diverse geographical and cultural areas of Asia and Europe. These researchers accurately developed theoretical models related to the different paths of economic growth and consumer behavior between East Asia (mainly China and Japan) and Europe for the period of the first industrialization. However, there is still a need for more concrete case studies when defining geographical and chronological units of comparison in a more local level to reframe big questions such as why Europe took-off and China stood behind during the first industrialization. In this talk, Perez Garcia aims to examine economic and socio-cultural exchanges between China and Europe, paying attention to strategic geo-political sites (i.e. Macau, Canton, Xiamen, among others) which fostered changes in consumer behavior, commerce, international relations and socio-economic networks. Among other relevant sources the local gazetteers of China (中国地方志) have been randomly and scarcely used in analyzing the economy of China in both local and global contexts and how the growth of population during Qing dynasty and the relatively low taxation had an impact in the overall economy of the Middle-Kingdom, as well as economic changes in provincial and prefecture level. This talk is based on the connections and role played by coastal provinces such as Guangdong or Fujian as main economic hubs in South China Sea that allowed the introduction of foreign goods in China and export of Chinese goods to Europe integrating western and eastern markets. Circulation of new goods in China (i.e. American silver, chili, potato, corn, dragon fruit or ‘pitalla’ – 火龙果) and people, mainly Huizhou traders, Shanxi bankers and the Sangleys (Chinese merchants that traded in the Philippines) are the issues to be discussed. Global history is currently in need of new data, the so-called ‘big-data,’ therefore, we will introduce new empirical evidence for the renewal of the field. 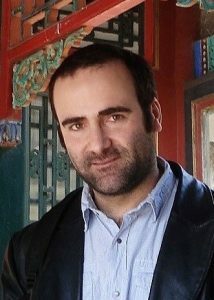 Manuel Perez Garcia (www.manuelperezgarcia.eu) is Associate Professor at the Department of History, Shanghai Jiao Tong University. He was Associate Professor at the School of International Studies, Renmin University from 2013 to 2017, and postdoctoral fellow at Tsinghua University from 2011 to 2013. He obtained his PhD at the European University Institute (Florence, Italy). He has been recently awarded with an ERC (European Research Council)-Starting Grant, under the framework of Horizon 2020 European Union Funding for Research & Innovation to conduct the GECEM (Global Encounters between China and Europe) project (www.gecem.eu) on China-Europe market integration, consumption and economic growth. He is the founder and director of the Global History Network in China (GHN), the first academic network in global history established in China ( www.globalhistorynetwork.com). 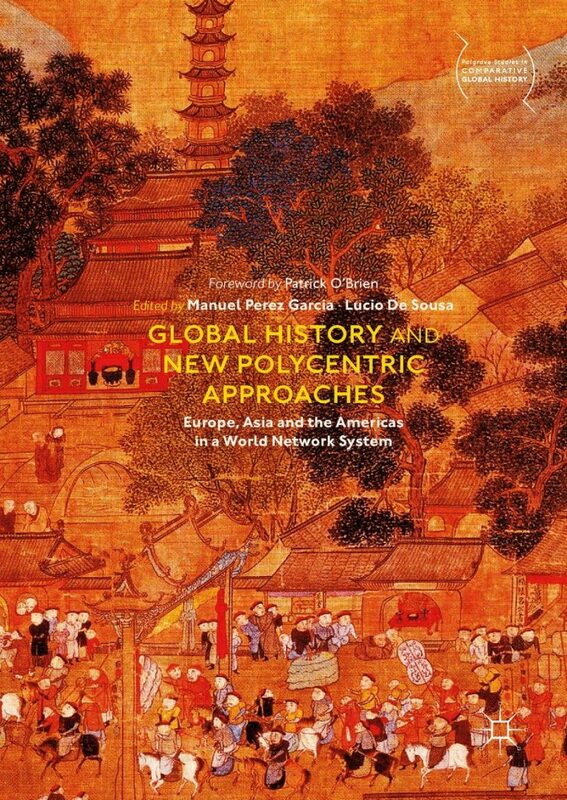 He is the editor-in-chief of the Palgrave Studies in Comparative Global History (www.palgrave.com/de/series/15711). His recent publications include the co-edited book with Lucio de Sousa, Global History and New Polycentric Approaches Europe, Asia and the Americas in a World Network System (XVI-XIXth centuries), Singapore: Palgrave-Macmillan, 2018; ‘Vicarious Consumers’: Trans-National Meetings between the West and East in the Mediterranean World (1730-1808), London: Routledge, 2013.